"We have worked with Gary on several projects and appreciate his thoroughness and professionalism. He has considerable knowledge of the market and always demonstrates a willingness to go the extra mile. He is active in the community, furthering his ability to provide sound guidance." "Gary help us purchase our home in Laguna Niguel, and shop for our new home during a time when inventory was rather low. His solid market knowledge and negotiation skills helped us tremendously. My wife and I enjoyed working with him and would ask for his help with the sale or purchase if it was ever needed." "Gary worked with us on the purchase of our Laguna Beach home in 2015 and the experience was pleasant and professional from start to finish. As we moved to Laguna from out of town, Gary made sure we were settled and well connected in the community and we're friends to this day. He's assisted me with other transactions for family members and he's always helpful and responsive. I know I can ask him for anything and I would recommend him in a heartbeat." "Gary is very familiar with the Laguna Beach real estate market.us. Helped us quickly sell our former home and find the perfect new home. He kept us apprised of our transactions from start to finish. Great to work with." Originally from the Midwest, Gary has called Southern California home for more than three decades. His approach to working with clients and within the real estate industry is professional, patient, compassionate, and thorough. He offers not only a heightened knowledge of the luxury real estate markets that comprise the area but more importantly, the solid ethics and genuine commitment to serving others his native region is known for. Clients’ objectives, no matter how large or small remain Gary’s utmost priority as their real estate professional. Gary appreciates the opportunity to help guide sellers and buyers through the sales process and genuinely share their excitement when the sale is finalized. 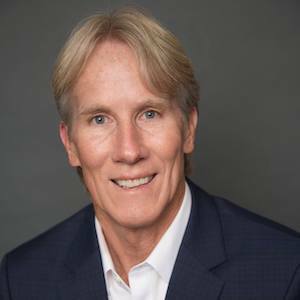 Throughout his 20+ year tenure in the industry, he has shown an unmatched level of service that is marked by a proven ability to negotiate positive deals and to leverage the most effective marketing strategies, delivering win-win results time and time again. His extraordinary commitment to his profession goes far beyond his unwavering dedication to the needs and interests of his clients. Gary's personal and work ethos, extensive knowledge of the local market, involvement within the community, and participation on boards and committees showcases his passion for not only the Southern Orange County real estate industry but also for his surroundings and philanthropy. Gary pays it forward by being involved in charities, local boards, and on city task force committees. His current involvement includes Director on the Board of Laguna Beach Seniors, Advisory Committee for LifeLong Laguna, and member of the Laguna Beach City Affordable Housing Task Force. When Gary isn't working he enjoys traveling, golfing, taking trips to the wine country, and exploring new local restaurants. Gary's advice for home buyers is, "Be realistic, do your homework, and follow the advice of trusted professionals, including your Realtor®."